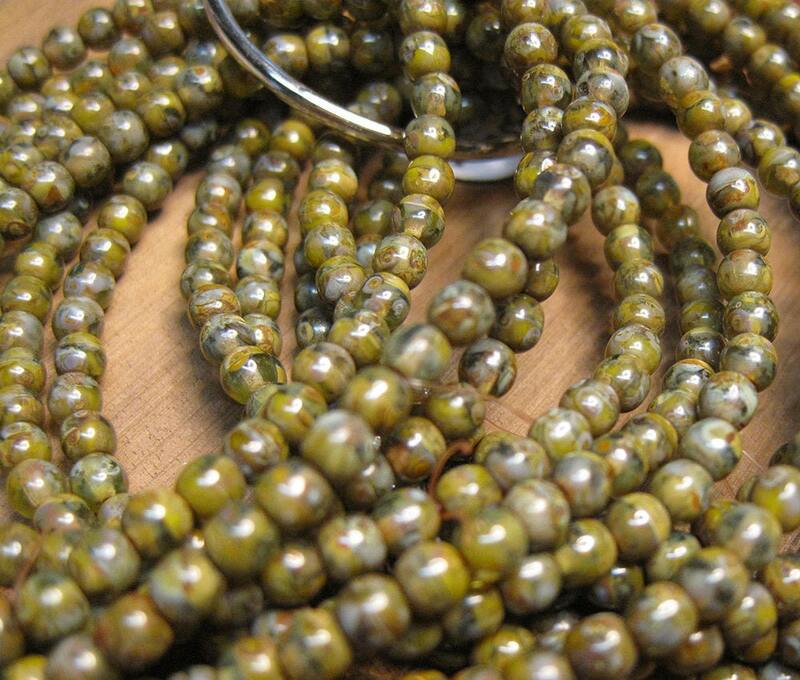 Stone Green Picasso Czech pressed glass 4mm round Druk beads. There are 50 beads per strand. Nice beads as always. Thanks.